Kerama is a group of islands (around 20, some of them uninhabited) situated around 40 km west of Naha. It’s a worldwide known diving location, famous for its transparent waters. 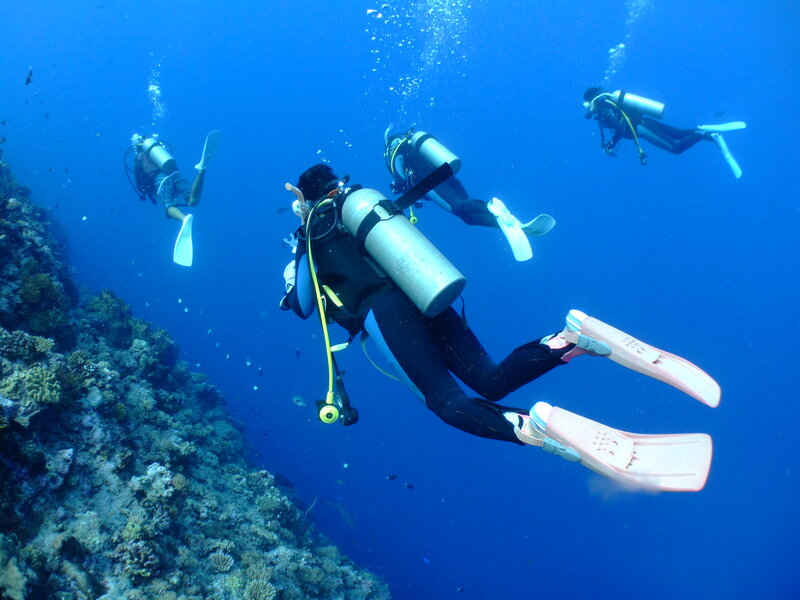 Enjoy this fantastic diving experience! 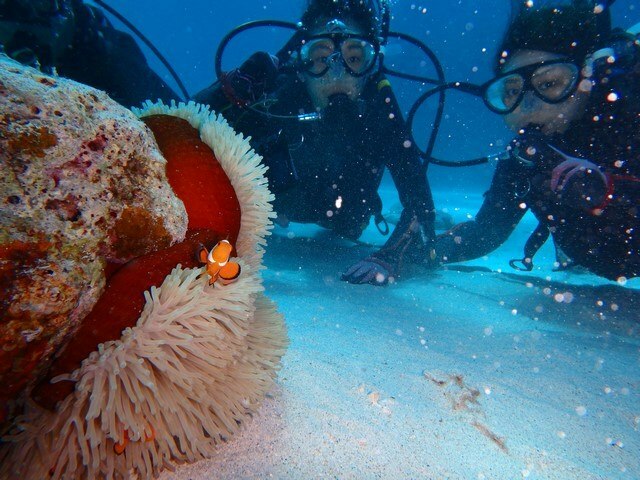 With more than 30m of coral reefs, full of clownfishes and other tropical sea creatures! 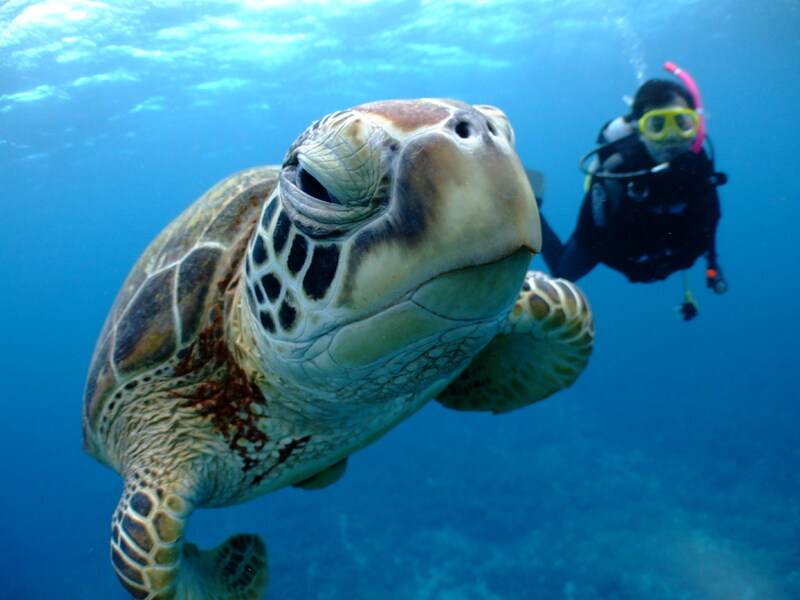 If you are lucky enough, you might get to swim with sea turtles! 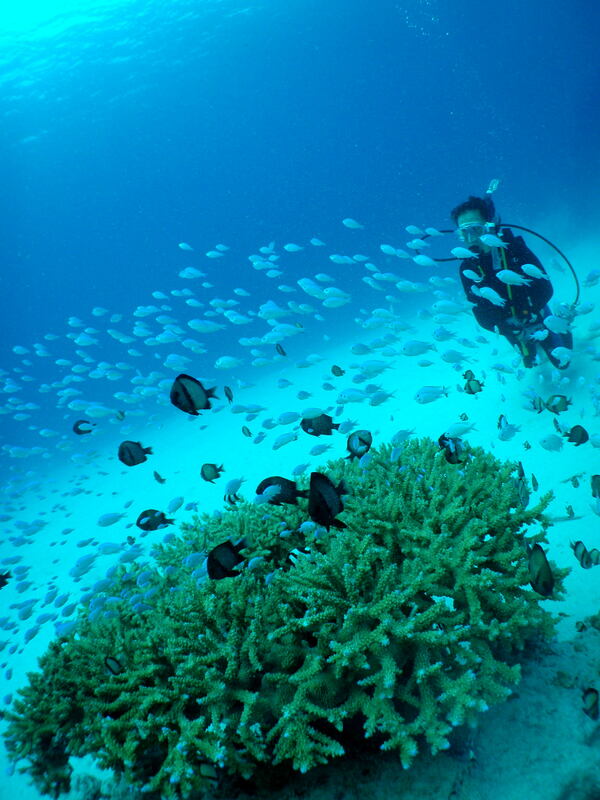 This tour covers three diving points in Kerama Islands. After enjoying the diving experience during the morning we will move to the second and third diving points in the afternoon. You can use more than one scuba diving tank if needed. 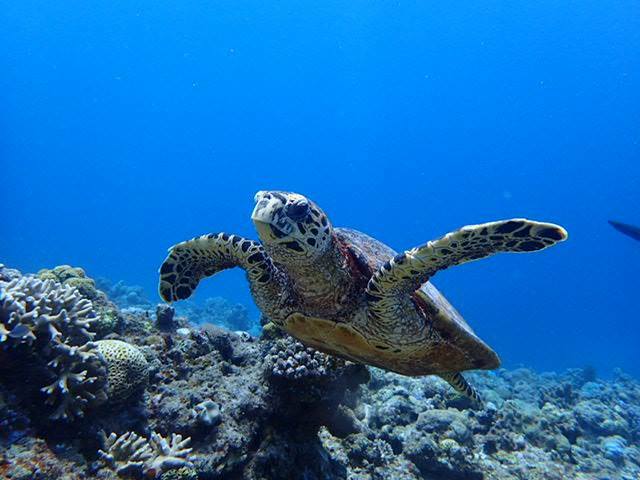 If you want to start practicing diving, Kerama Island is your best choice Please enjoy while you start diving in Okinawa Kerama Islands. 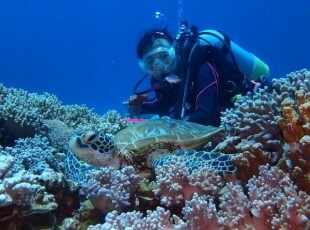 ※Encountering sea turtles is, although very likely, not guaranteed. ※This tour does not disembark at the uninhabited island. 5 to 59 years old. Arrival at the second point. Snorkelling. Arrival at the third point. Snorkelling. 14:00 to 15:00: Arrival at Naha Miegusuku port. 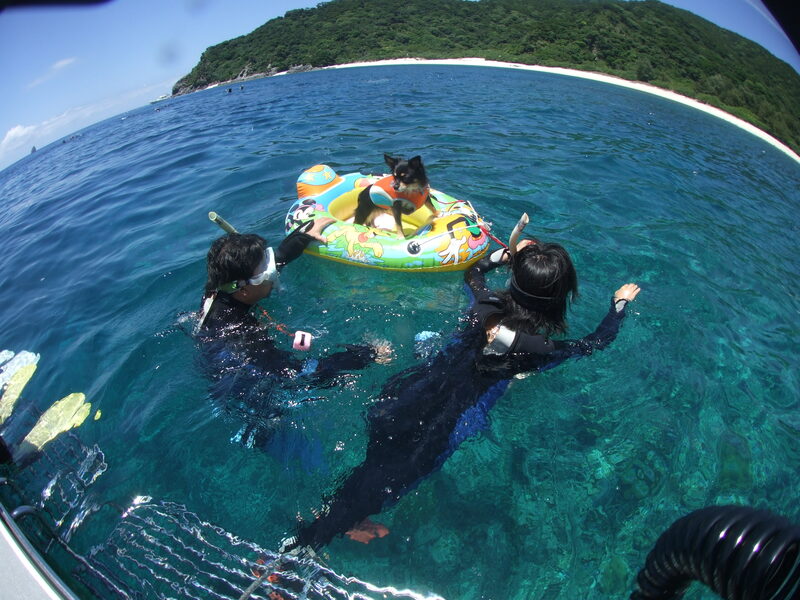 ・Snorkeling will be exclusively around the boat. ・Schedule is subject to change. Please arrange your own swimsuit wear, bath towel, sunscreen and shoes. Available shower room at the harbor. ※Available parking at Naha Miegusuku Port. ￥500 per day. 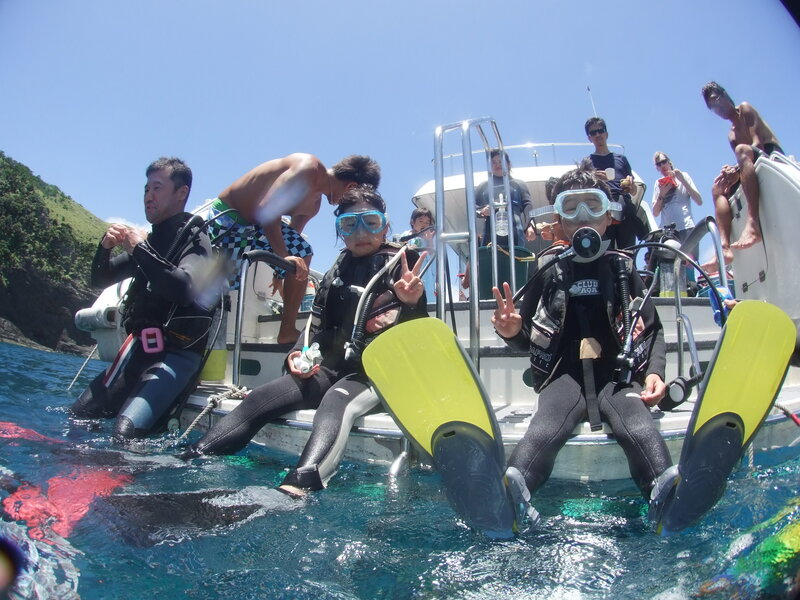 【Departure from Naha】Experience Diving tour around Kerama Islands. Arrival at the first point. Experience diving. Departure to the second point. Arrival at the second point. Experience diving (optional) or snorkeling. Arrival at the third point. Experience diving (optional) or snorkeling. Departure towards Naha Miegusuku Port. Tour will stop at three points, but participants will only do experience diving in one point, and snorkelling in the other two. Only one experience diving is included in the price, but if you wish to do an additional experience diving during the tour please select the "aditional dive costs" option when doing the reservation. 8:00 Departure towards Kerama Islands. Arrival at the first point. 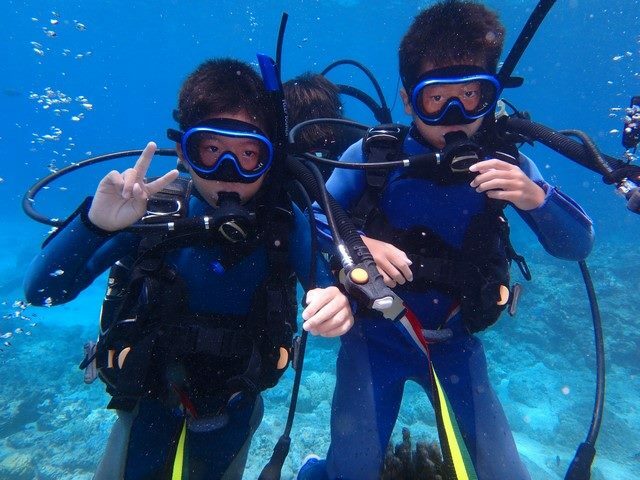 Fun diving. Departure to the second point. Lunch time and break. Departure to the final point. Arrival at the final point. Fun diving or snorkelling. *Please arrange your own swimsuit wear, bath towel, sunscreen and shoes. Available shower room at the harbor. *Persons which the following conditions will not be able to participate in this activity: Circulatory system or respiratory system diseases, high blood pressure, otitis media, pregnancy, epilepsy, diabetes, liver failure, hangover or under the influence of alcohol. In addition, accordingly to your health condition on the day of the activity, you might not be able to join us. *At the time of your application, please provide us with the mobile number, age, height, weight, foot size, eyesight and hotel's name of all participants. *Please bear in mind that, due to health security reasons, any participant won't be able to flight on the same day after diving. *If you use contact lens you may lose them in the water. Please use disposable ones whenever possible. *We can provide you with prescription water goggles (￥540 ). * Participating minors need a signature from their legal guardian to participate. Children under 12 years old need to be accompanied in order to join the tour. * Shower room is available at the meeting place (not free). 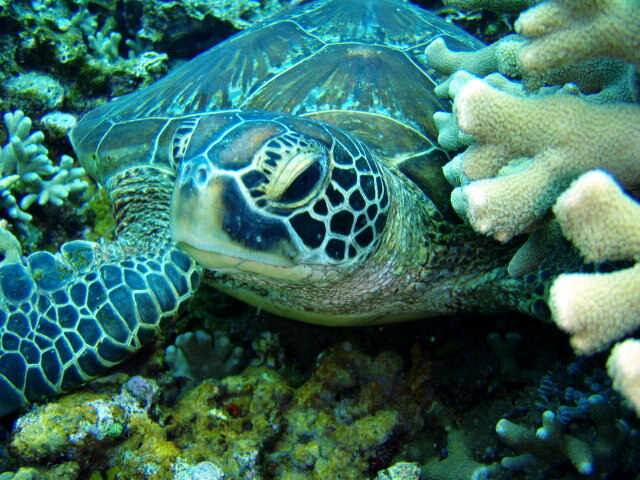 * If the waves are calm, it is still possible to do snorkeling even under raining conditions. * Diving points are subject to change according to weather conditions. Tour might be cancelled on the same day due to weather conditions. In the event of a cancellation due to weather conditions, you can ask for a full refund or a date change.